Cambodia is a country found in Southeast Asia. Its capital city is Phnom Penh, which is also its largest city. It gained independence from France in 1953. 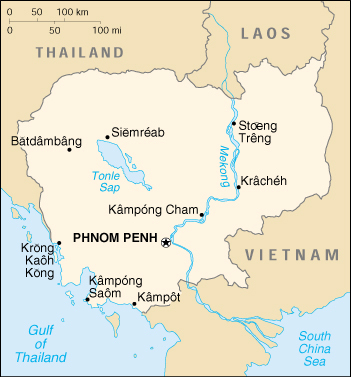 Cambodia shares borders with Thailand, Laos, and Vietnam.